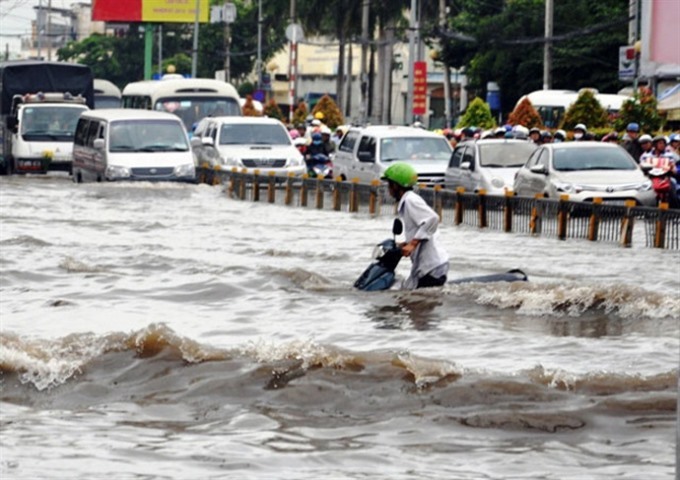 Many areas in HCM City were recently affected by flooding.— VNS Photo. According to chairwoman of the council, Nguyễn Thị Quyết Tâm, the city’s investment and business environment has improved and economic restructuring is proceeding well. The administration has made great efforts to resolve urgent issues affecting the public and complaints related to recovery of land and delay in implementation of development projects. This year the council has closely been monitoring a number of things, including the city’s revenues and expenditures and urban planning and renovation, she said. The public and the business community have expressed support for efforts to speed up the administrative reforms launched by the city authorities. But they have complained about the failure to make the reforms wide-ranging and the irresponsible conduct of many government officials, which caused them inconvenience and annoyance. The recent flooding caused damage and difficulties to residents, who also face pollution and traffic problems. During this 12th session, the People’s Council is set to review implementation of the resolution on socio-economic development this year and plans for 2019. It will draw up a balance sheet of the city’s finances in 2017 and make decisions on next year’s budget. It will discuss socio-economic development plans for the next three years and the achievements after one year of implementing the National Assembly’s Resolution No 54 on the city’s financial autonomy. Members will also question the chairman and deputy chairpersons and the heads of government agencies about fulfilling the promises they had made in the 2016 – 18 period. “This is a necessary action,” Tâm said. Chairman Nguyễn Thành Phong is expected to speak about authorities efforts to address the issues raised by people in the Thủ Thiêm residential area in District 2. Nguyễn Thiện Nhân, Secretary of the Party Committee, was among the attendees at the opening session.